Campaign tracking is an essential part of every successful AdWords campaign, as it is the only way you will be able to determine if your campaign is successful and to which extent. There is no point in wasting time and assets on a campaign if you are unable to get profit from it. Not only will you be able to evaluate the campaign through tracking, but you will also be able to optimize the campaign, so that you can increase benefits for your company. The first step in tracking a campaign is to determine what conversion is in your case. Think about what you want to achieve with advertising campaign, as this might help you with defining conversion. While people usually associate conversion with a purchase, this might not be the case with your campaign. Purchase is certainly one of the goals advertisers try to achieve, but there can be other goals, such as sign-up for a newsletter, download of an app or a document, creating a new user, etc. Once you determine what conversion is for your business, you have to assign a value to that conversion. Obviously, if we talk about websites where the goal is purchase, you can easily set up the value of a conversion, as it will equal the purchase value. On the other hand, if you have different goals, such as sign-up or downloading a file, you will have to come up with a value of that conversion yourself. Having a value assigned to a conversion will help you measure ROI. 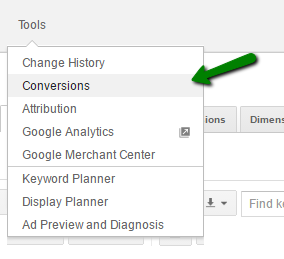 How to set up conversion tracking in your AdWords account? Go to your AdWords account and click on the tab “Tools” at the top of the page. You will see an option “Conversions” in the drop-down menu. You will now be able to see all of your conversions, if you have already set up some of them, or you will be able to create completely new conversions. Use red “+Conversion” button to create a new conversion. Once you click on this button, you will go through several steps in order to create a conversion. First, you will choose the source of the conversion you would like to track. Choosing the code affects the tracking code that will be generated. Click on “Save” and you will go on to the settings. Here, you will assign a name to the conversion, for easier tracking in the reports. Although you can skip assigning conversion value, it is advisable to assign a value to the conversion, as this provides data for measuring return on the investment. You will then choose how many conversions you want to count, conversions category, etc. When you have chosen the settings, you are ready to go to the final step. Here is where you get the code. You should copy the code, and then paste in between the and tags of the HTML file of the page you want to track. If you already have and use Google Analytics account, it is advisable for you to link this account to your AdWords account, as it will provide a lot more opportunities to track visits and analyze the user behavior, which can help you get clearer picture of your target audience and efficiency of your campaign. 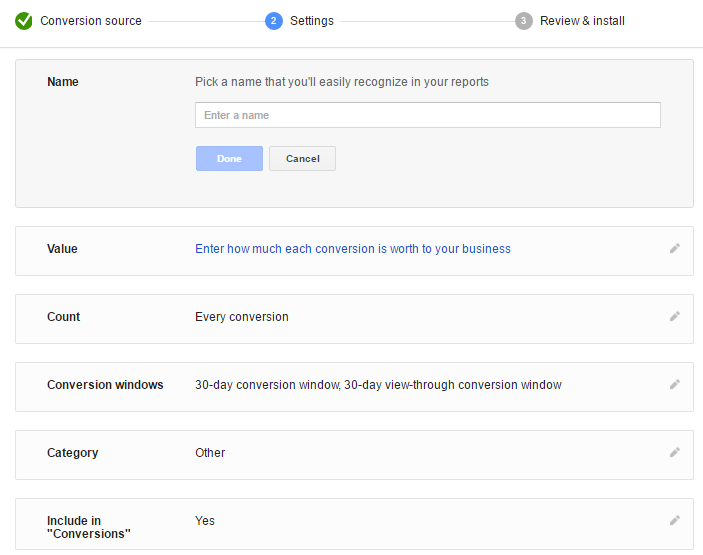 In addition, you will also be able to import Google Analytics goals and transactions into AdWords as conversions. Have in mind that you can only link one Google Analytics account with one AdWords account and vice versa. How to integrate Google Analytics? Before you are able to integrate Google Analytics, you need to make sure that you have permission to do so. Start by checking the access level of your Google AdWords account. You have to have “Administrative access” in order to be able to proceed with integration. Go to the AdWords settings at the top right corner of the page, click on “Account settings” and check the access level. You will now have to make sure that you have the right permission in the Google Analytics account. Click on the Admin tab of the account. 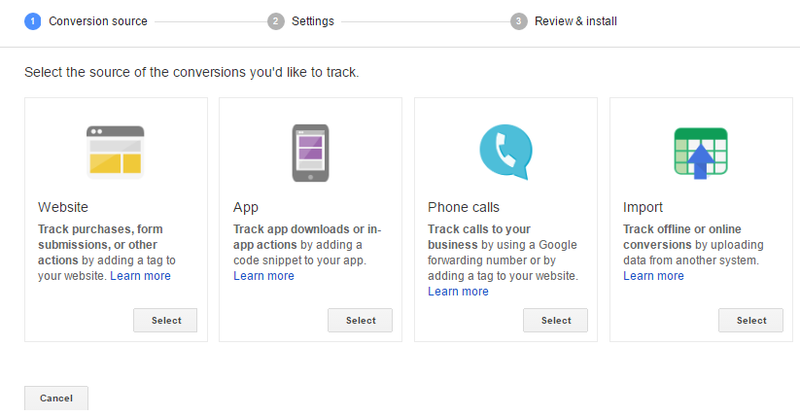 You will now have to choose the account and property you want to link to the Google AdWords. Since you might have several websites inside Google Analytics, choose the one you want to integrate, by marking it in both of these columns. Having done that, click on “User Management” to see the type of permission you have. 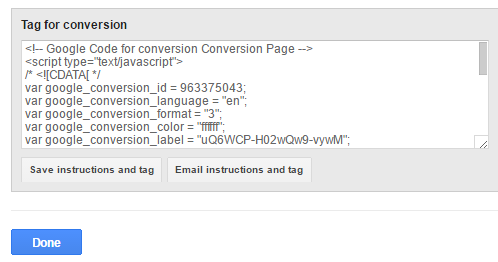 You have to have permission to “Edit” in order to be able to link this account to Google AdWords. Now that you have checked if you have the necessary permission and access level, you should start the integration process. 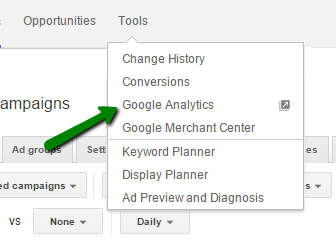 Go to your Google AdWords account and use the tab Tool, to access Analytics. You will be redirected to your Google Analytics account. You should click on the tab Admin inside Google Analytics account. Choose the name of the account and property you want to integrate and click on “AdWords Linking”. The first step is to choose the AdWords account you want to link and click on “Continue”. You will then be asked to provide the link group title, which is the title that will identify the group for the linked AdWords account. The next step is to select the Analytics views in which you want the data from AdWords account to be available. Finally, click on “Link accounts” button to finish the configuration. Google Analytics allows you to create goals, which are also very helpful when it comes to tracking conversions and analyzing the campaign. 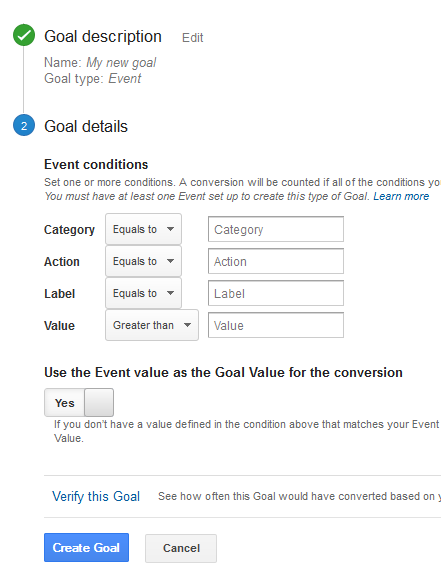 In fact, you do not need to use conversion option inside Google AdWords if you already use goals in Google Analytics. 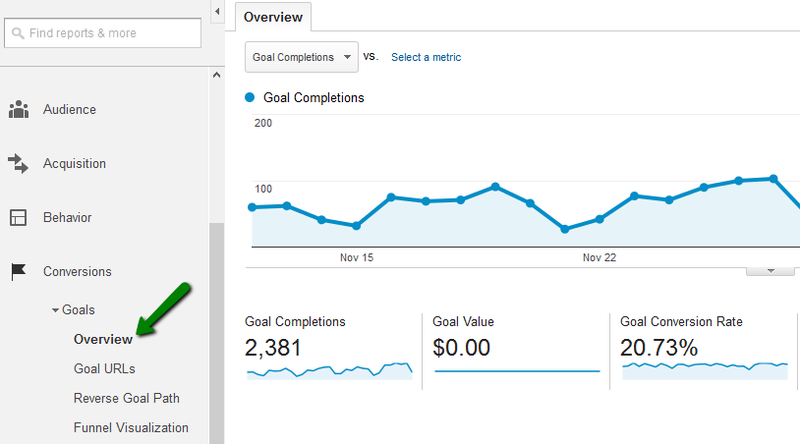 How to create a goal with Google Analytics? 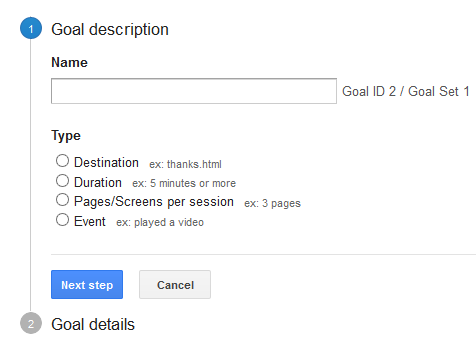 Go to your Google Analytics account and click on Admin tab to create a new goal for your account. Inside the Admin tab, find the column “View” and click on “Goals”. You will now be able to see all of your goals, if you have created any in the past, and you will see an option to create new goals. Have in mind that the maximum number of goals you can create inside a reporting view is 20. If you want to track more goals, you will have to create an additional view. In order to enable goal tracking, the goal has to be set to recording. Click on the button “+New goal” to create a new goal. Destination – This type is used when you want a specific URL to be used as a goal. In this case, any time the users visit the specific URL, your goal will be achieved. Duration – If you choose this option you will set up a time interval as your goal. Every time a visit is longer than the duration you have set inside the goal, your goal will be marked as achieved. Pages/Screens per session – This goal is used when you want to record the visits based on the number of pages or screen a user views during one visit. Event – You should use this type of goal if you want to define an event that will represent the achievement of the goal. The action defined as an event can be playing a video, clicking on an ad, social recommendation, etc. You can either use event value to represent the goal value, or you can specify a custom value. After you have finished with the goal settings, click on “Verify” to finish the process of setting up. This option will test the goal based on your account data from the past 7 days. The data will be collected from the moment you have clicked on the goal to start recording it. Go to the reporting tab to analyze the performance of the goal. Find the option “Conversions” in the menu on the left and click on “Goals”. The goal overview will provide the data about the number of goals completion, goal value and goal conversion rate. If you want to compare the achievement of the goals in relation to acquisition, you should use the menu Acquisition and click on the option “Overview”. You will see the percent of the organic searches resulting in goal completion, as well as the percent of other types of acquisition, including direct, social, paid, etc. Tracking goals with Google Analytics is possible for both organic and paid reach, which is why this option is very helpful if you want to analyze a particular segment of your website. 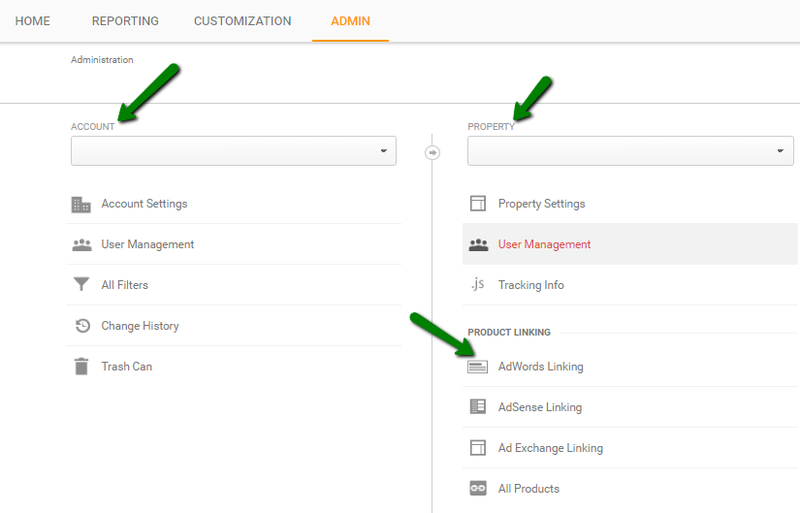 Since Google Analytics is a free tool, this feature is available to everyone, and you do not have to have a Google AdWords account linked in order to be able to create and monitor goals. 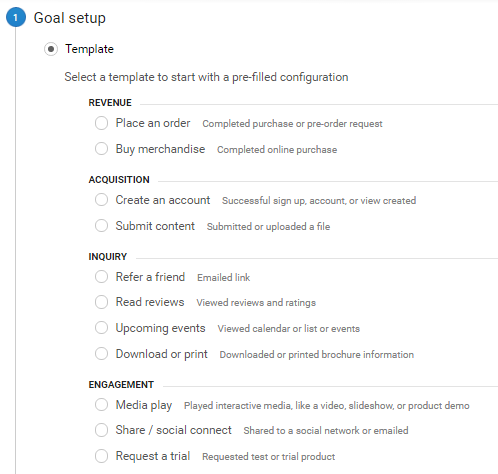 Different options allow you to create custom goals and track specific actions, which will provide information about users’ behavior as well as about the performance of your website and specific campaigns. Besides the data inside the Google Analytics overview, which provides goal completion rate, conversion rates and monetary value (if it has been set up), the data will also be included in the reports generated with Google Analytics, which include visitor, traffic, site search and events report. The goal with A/B testing or split testing is to compare the efficiency of different campaigns, which will help you discover the best campaign settings. In this case, you compare the two campaigns with similar goals but different settings in order to decide which settings help you improve CTR and efficiency of your ads. Additionally, split testing is great for trying out completely new approaches and experimenting. This way, you get to try something completely new and to implement new practices that might result in huge benefits for your business. Since AdWords account requires constant monitoring, you are bound to conduct A/B testing on regular basis, which makes this inseparable part of campaign management. If you want to compare settings for different campaigns, ad groups or ads, use the two buttons to choose the type of metrics you want to compare. The metrics are grouped into five categories, each one containing metrics related to that specific category. When you choose the metrics group to compare, you can choose the time interval within which you want to analyze those metrics. The available time intervals include daily, weekly, monthly and quarterly overview. It is possible to choose custom time interval for which you want to analyze the data. By default, you will see the data for the last seven days, but you can always choose different settings from the drop-down menu available inside the Google AdWords account.